This Friday, March 1, is Game Night! Friday, March 1: vs. Timbers 2, Merlo Field, 7 p.m.
Saturday, March 23: vs. Nike Swoosh, Franz Campus on the River, 5:30 p.m.
Saturday, March 30: Alumni Game, Franz Campus on the River, 2:00 p.m.
Saturday, April 6: at Washington, Seattle, Wash., 7:00 p.m. There will be no admission charged for the spring games, and at Merlo, fans must enter through the main entrance, and seating will only be available in the main grand stands. Concessions will not be available, and restrooms will be open. For matches on the grass/turf fields on the Franz Campus on the River, fans are asked to park in the main Franz Campus lot, not in the area adjacent to the fields. Restrooms are limited, and standing room viewing is available outside the fences. I’ve watched practices on the Franz campus. We Sat on chairs we brought on a sidewalk outside the fence. Im not sure where fans would sit, but those folding seats season ticket holders got some years ago would make sense. Isn't this about the time of year that new recruits get announced? I haven't seen anything. Have I missed it? SoreKnees wrote: Isn't this about the time of year that new recruits get announced? I haven't seen anything. Have I missed it? Top Drawer Soccer has ranked the 2019 UP recruiting class as the 13th best in the country, but only one recruit, the 120th recruit in the country, Noah Beck, is the only player who has been announced as signing a NLI with the Pilots. 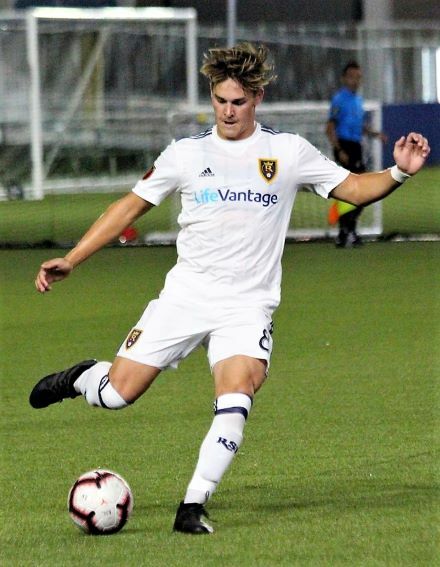 Beck, a center back/midfielder originally from the Phoenix area, has played for the Real Salt Lake Development Academy for the last two years, reportedly sports a 3.9 GPA, and had college offers from all over the country. Not sure how many recruits Nick Carlin-Voigt will bring in (I've heard as many as three more high school players, including two more from RSL, and a couple of transfers), but he said, "We look forward to releasing the rest of our class throughout the spring semester...we have some exciting announcements ahead." Yusuf Cueceoglu, a midfielder from Cologne, spent the past two years at Villanova, finishing second on the team in scoring with six goals and two assists. He made 17 starts as a sophomore, and during his freshman campaign he collected two goals and two assists. Previously, Cueceoglu played in the U19 Bundesliga for Viktoria Koln and started 23 games in 2016-17. He's been capped by the Turkish youth national team on multiple occasions, and he was called into the U.S. U17 national team. 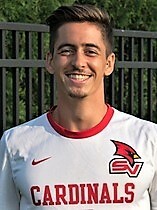 Michael Hamilton, a forward originally from Madrid, comes to UP after two years at Saginaw Valley State. Hamilton started all 20 games as a sophomore, and he was named to the All-GLIAC First-Team after registering eight goals and five assists. Hamilton also nabbed United Soccer Coaches All-Midwest Region First-Team honors. Delentz Pierre a center back from Florida, has been at the Salt Lake Academy since 2015. The left-footed Pierre is ranked as the No. 142 recruit in the country by Top Drawer Soccer, and he represented Haiti at the U20 level. I wouldn't be surprised if we see a couple more additions before summer..
Do you have what it takes to be a good assistant coach at UP? Is the game tonight still down on the Franz campus? Geezaldinho wrote: Is the game tonight still down on the Franz campus? Thanks. I’ll just get there a bit early. Sorry, I don't have any specifics, but Coach Carlin-Voigt tells me that four 2019 recruits have decided to sign professional contracts instead of attending UP, and that the top 2020 recruit, Johan Gomez, is considering doing the same. Nick also mentioned the names of two more inbound transfers will be announced shortly, and that the search for an assistant coach is "just about over." Turning pro is probably in their best interest if they're good enough. College soccer has benefited greatly from the lack of interest and money in MLS over the years. As it grows, men's college soccer will probably start to look more like baseball and hockey, where the best prospects go pro directly out of high school (or even in high school as with the Winterhawks). It's too bad that the NCAA won't move into the 21st century and start allowing pro players to go to school and play. I can imagine the Timbers signing players and "farming them out" to play at UP for a couple of years before they are ready for the pro level. And more news..... Leonard Griffin to become USF's Head Coach. DD wrote: the search for an assistant coach is "just about over." PNWPilot wrote: And more news..... Leonard Griffin to become USF's Head Coach. Good luck to Leonard, I know he'll do very, very well at USF, darn it! I'm told the game against U. Denver today begins TONIGHT @ 8pm at Merlo! There was already a match this morning between the reserves and Corbin. The score tonight was 2-1 UP. Two PK’s from takedowns in the box for UP. Denver scored when a defender slipped unmarked and fell down and left the Denver forward 1v1 with the keeper. Both teams could have gotten the “wear-long-cleats-in-the rain,dumbass” lecture. The last spring game of the season kicks off against Oregon State tomorrow (Saturday) at 11 o'clock at Merlo Field. Also, T2 plays against a Colorado Switchacks team that includes former Pilot Kris Reaves at Merlo Saturday at 7.